1. Do You Pay Federal Taxes on Social Security Retirement? 3. How Does Social Security Fit Into One's Retirement Plan? You work hard, but you probably hope that it won’t always be that way. At some point, you’ll retire and enjoy the fruits of all those years of labor, in the form of Social Security payments. But if you’ve paid attention to that statement you get in the mail, you probably know that the amount you’ll get each month won’t necessarily equal what you’re currently bringing in. That’s why many people set up personal retirement plans to supplement those monthly checks. It will also serve as a great backup if the doom and gloom surrounding Social Security comes true and the fund is completely depleted by the time you get there. Social Security is a federal program that sets money aside for a worker’s retirement. Approximately 169 million Americans pay into the Social Security program, some through an employer and others through a yearly self-employment tax. If you’re on a company’s payroll, your employer takes 6.2 percent from each paycheck, submitting it to the Social Security Administration on your behalf. Your employer also pays 6.2 percent from each paycheck issued to you into your account. If you’re self-employed, you pay the full 12.4 percent, but you can deduct half that amount against your adjusted gross income when you prepare your taxes. Personal retirement accounts, on the other hand, are more flexible. Your employer may offer a 401(k) or IRA, perhaps even matching your contributions up to a certain amount. You can also set up a retirement plan on your own. If you choose a traditional 401(k) or IRA, you’ll be able to put off paying the tax until you take the money at retirement. With a Roth 401(k) or Roth IRA, you put the money in after taxes have been paid, which means you’ll enjoy tax-free withdrawals once you’re ready to retire. Setting up a retirement savings plan may seem daunting initially, but even a small amount each month can add up over time. The easiest way may be to set up an account with your own bank, then create an automatic transfer, set to go through once a week, twice a month or once each month. You probably won’t even notice the money coming out of your account. However, you may find that your bank doesn’t have the best rates, and transferring funds into an external account is fairly easy. As for how much to save, even if you take only $10 from each paycheck, it will add up, especially if you start early. You can look at your current spending habits and find a few small sacrifices that will make it even easier for the money to come out. If you drink coffee at home or at work rather than rushing through the Starbucks drive-thru every morning, for instance, you’ll easily squeeze $10 or more each week out of your budget. You can use one of many retirement savings calculators available online to determine exactly how much you’ll need to save to have the money you’ll need at retirement. When calculating what you’ll need from a retirement savings plan, it’s important to consider how much you’ll need to live on at retirement. You may have plans to pay your home off, for example, which means you won’t have the house payment that currently takes a large chunk of your monthly budget. But you’ll still have to pay homeowner’s insurance and property taxes, so be sure to factor that into your monthly bills. While drawing up a budget for personal retirement plans, many people also consider the lower cost of living after retirement. You won’t need to commute to work every day, so your household could possibly be fine with only one car. At the very least, you’ll spend less on fuel and car maintenance. You probably won’t spend a great deal of money on clothing, either. You may, however, want to travel more after retirement, so factor that into the money you’ll need to live on. Personal retirement accounts can also be confused with retirement pensions, which are far rarer today than they once were. Chances are, if you have a pension, you’re a government worker or you work for one of the few large corporations that still offer them. Unlike a personal savings account or Social Security, pensions require no investment on the part of the employee. The employer puts money into an account on behalf of employees, with that money growing and remaining available for each worker at a designated period of retirement, usually based on age and years of service. Unlike a personal retirement plan, the employee makes no decision about how the money is invested. With a 401(k), the worker is generally allowed to choose where the funds are invested. A pension keeps the portfolio in the hands of the employer, who hopefully has worked with a reputable retirement planning expert to set things up. 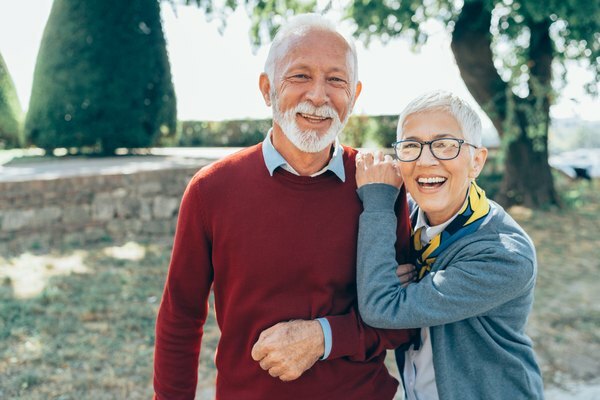 While 43 percent of single seniors and 21 percent of married seniors live on Social Security alone, it’s important to note that the average payout is only $1,412 per month. Realizing this may help you determine whether that amount will work for you during your golden years. If you’re among those percentages, it’s important to evaluate whether it will work for your own unique circumstances. Building your retirement savings plan should be a combination of increasing how much you’ll bring in each month and reducing your living expenses. If you can do both, you’ll be able to combine Social Security with other sources of income to make it work. But there are other ways to save for retirement besides putting money into a savings plan. You may have property investments, for instance, or you’ll continue to generate revenue after you’ve stopped working through books you’ve written, software you’ve developed or items you’ve trademarked. You also may join the many seniors who continue working at least part time after retirement. This could bring in enough extra income to supplement Social Security, but if you develop health problems, this may become a problem, so it’s likely not a plan to count on. If you’re thinking about personal retirement accounts, chances are you’re wondering how quickly you’ll be able to enjoy your savings. For Social Security purposes, if you were born in 1960 or later, you won’t be able to retire until you reach age 67. However, you can retire earlier with partial benefits. You can retire at 62, but you’ll only get a percentage of your benefits, and that percentage keeps shrinking as the retirement age increases. If you wait until age 70 to take your Social Security, though, you’ll see benefits of at least 24 percent more. But Social Security isn’t the only consideration for when you’ll retire. Your employer may have a minimum retirement age to collect a pension, if you have one. You also will have minimum age requirements for taking distributions from your retirement savings account. If your 401(k) is through your employer, you can’t begin taking distributions without a 10 percent penalty until you’re age 59½. You’ll have to take distributions by age 70½ for 401(k) plans and traditional IRAs or pay penalties. Investopedia: What's the difference between a 401(k) and a pension plan? NASI: What is the Social Security Retirement Age? Are Pensions Taxable in Illinois? Can a Revocable Trust Get an FHA Loan? Do Roth IRAs Lower SS Taxes?